In any corner of our country facing any direction, we will certainly find an independent unorganised retailer sitting behind a counter selling everyday provisions. They are the Mom and Pop stores or the Kirana stores which constitute to 95% of the retail market in India. While this sector has the deepest market penetration especially in the Indian hinterland, their growth has been inhibited due to lack of technological support to make them join the mainstream modern retail trade. Organising the unorganised retail sector of India is what Pay1 strives to achieve. Through our retail tech platform, we aim to provide these retailers with digital, financial and business solutions such that each small business and retail store can use technology to expand their business offerings. Pay1 also aims to create more jobs by aiding micro-entrepreneurship especially in the rural and semi-urban India. 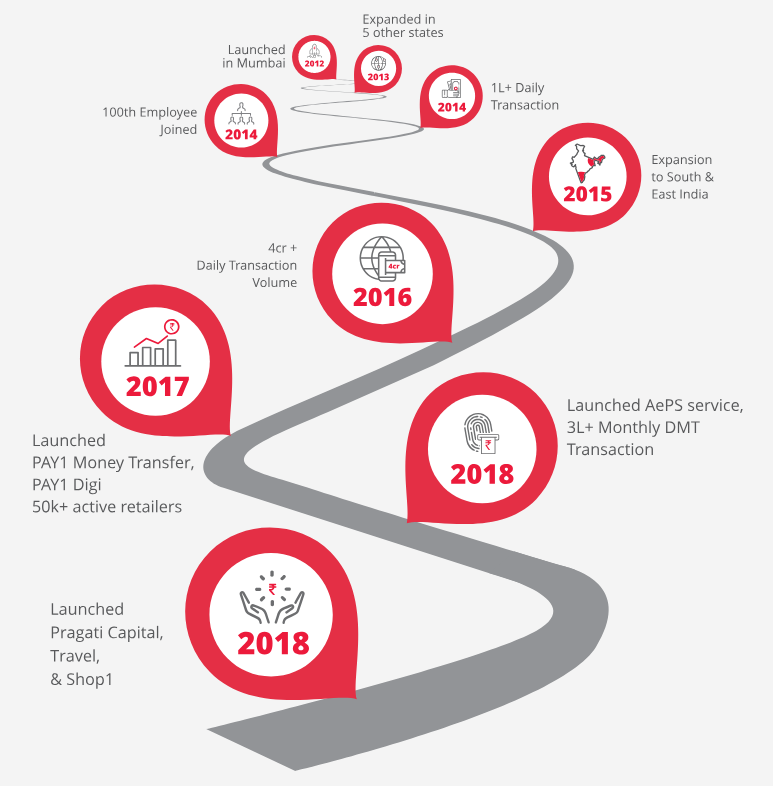 Pay1 provides an easy to use technology via an app or web portal which gives retailers access to new products in the market, technology to manage their store, become a digital payment and banking point and better monetize the physical infrastructure. Pay1 partners with products and services companies to launch their products on the Pay1 platform, making it a superior distribution channel. Our platform with its huge retailer network reduces the cost of distribution and time-to market for the product and service providers. This reduces time and cost of distribution and also increases the efficiency of Marketing for the companies riding on our platform. The partnership with financial services companies and banks makes the Pay1 retailer a financial product distributor and a banking point. 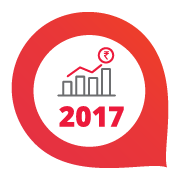 Pay1 also partners with NBFCs and small finance banks to provide micro-credit to the retailers. Alakh graduated from IIT Bombay in 2008. He spent over 8 years in investment banking at JP Moragan and Barclays across geographies. He brings a rich experience at business build-out and turnaround management. He leads the charter at micro-entrepreneurs and inclusive employment oppurtunities in the retail segment. A Computer Science postgraduate from IIT-Bombay 2009. 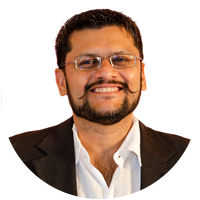 He has prior experience in developing a technology platform for value-added services and SMS content over the mobile. 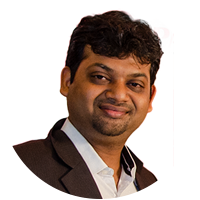 With his experience in technology, he has been leading the platform development and technolgy PAY1 for past 7 years. 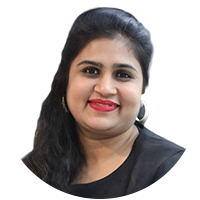 She has over a decade of experience as product development head and technology designer at various technology companies, including the start-up ‘sms-tadka’. She has designed pioneer products like flora2000, yo4ya and remindo. Chirutha is an HFI Certified Usability Analyst. She is heading the DMT business along with operations, product development and strategy at PAY1. 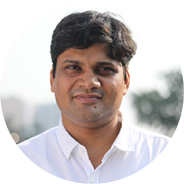 Vinit is a software engineer with 12 years of experience in developing user interface, web applications, portals and websites. He was leading the technology interface at start-up ‘sms-tadka’. His entrepreneurial spirit and in-depth understanding of the market and business make him a problem solver for every business roadblock. Along with procurements, he heads the business development at PAY1. 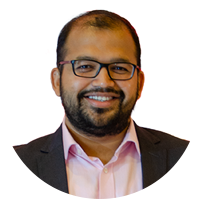 Abhinav has 7 years of experience in offline retail operations and e-commerce operation with companies like Infibeam, Future Group, and Maple Digital Technologies. Prior to retail, he was an analyst with Bank of America. In addition to being a financial controller, he is also spearheading Pragati Capital.